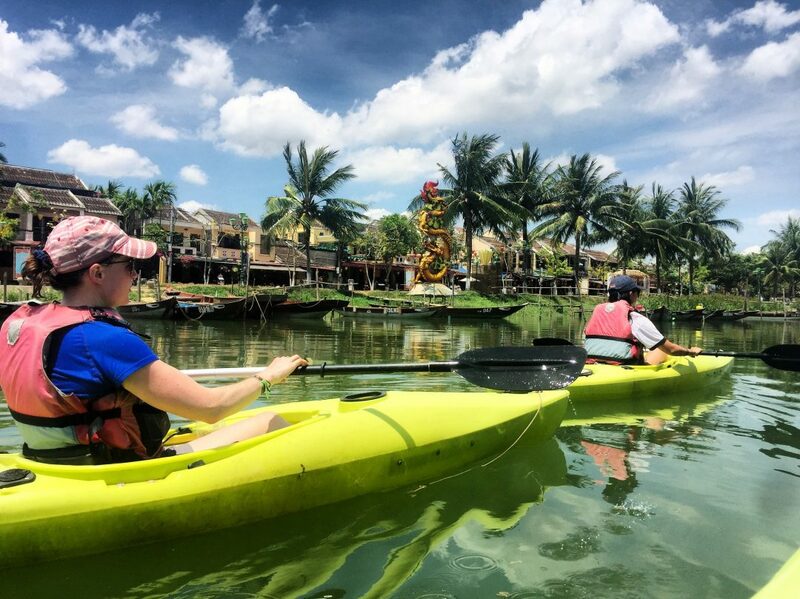 Experience Hoi An river culture with a leisurely sunset kayak on the beautiful River and the village that line its banks. 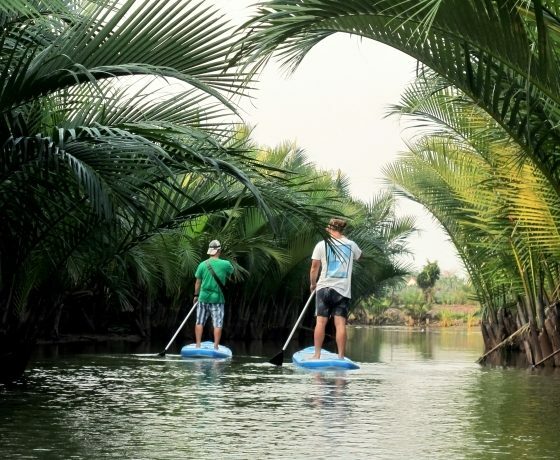 Paddle up close to the villagers as they interact with the river as they have for centuries. 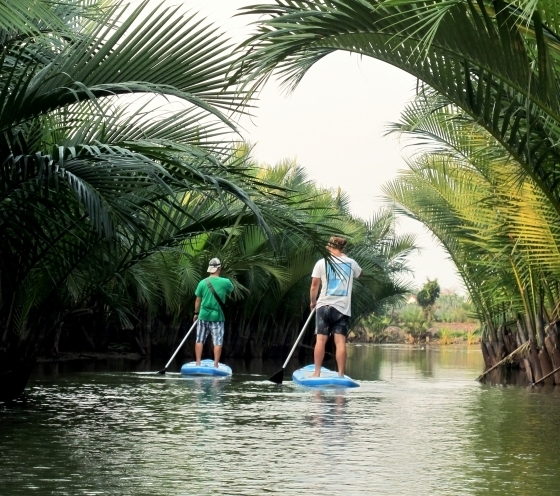 You will have fun and adventures as you paddle Cam Thanh eco-system area and Thu Bon River and paddle through the mangrove forest of Nipa palms. 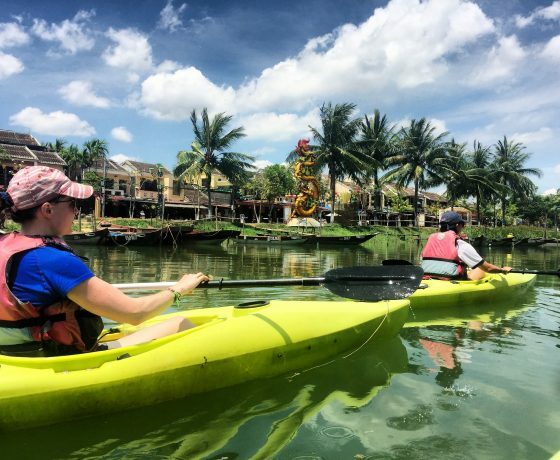 You can have a chance to see the life on the river and how the Thu Bon River plays an important role in Hoi An unique view of the Ancient Town for most of tourists. 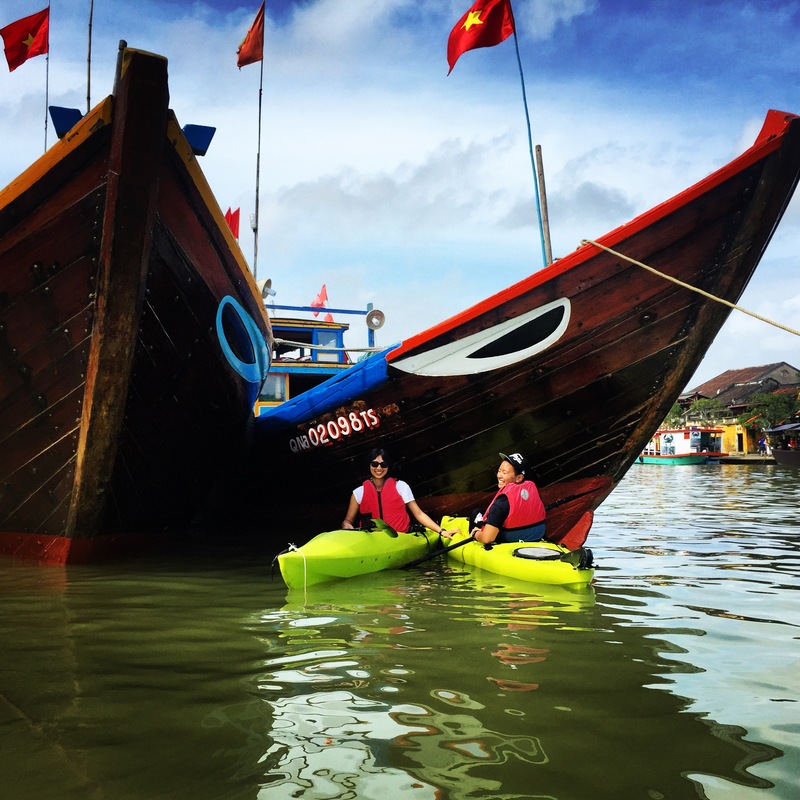 This is a beautiful way to see the ancient town of Hoi An away from the busy streets. The adventure will finish in the old town. 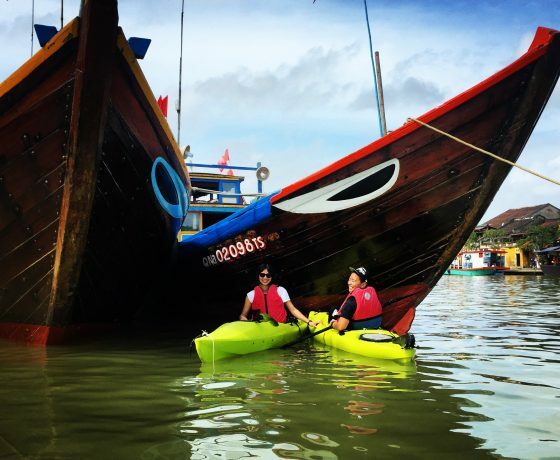 Pick up from your hotel and have a quick transfer to our kayak station in Cam Thanh. After a briefing on paddle safety and the area you will be kayaking, we’ll set off to the mangrove forest where the most well grown Nipa palms (locally known as cocopalm) are found. It is a unique mangrove ecosystem to Hoi An and the scenery is spectacular. 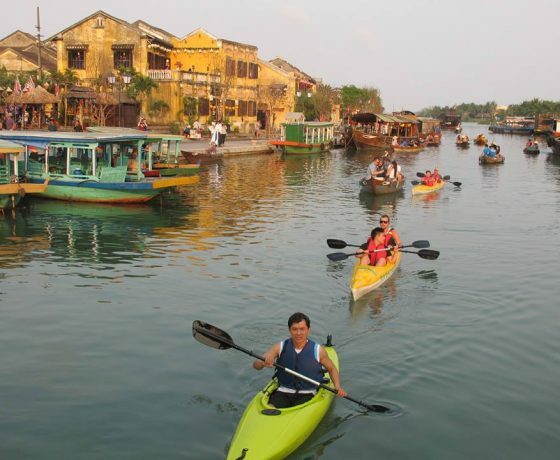 We then paddle along the Thu Bon River to the heart of the Ancient Town. It’s a unique experience to catch the reflection of old houses from water level perspective. Embark at a local pier opposite the Ancient Town at around 11.00, there’s time for refreshment at a riverside café before get a transfer back to your hotel. 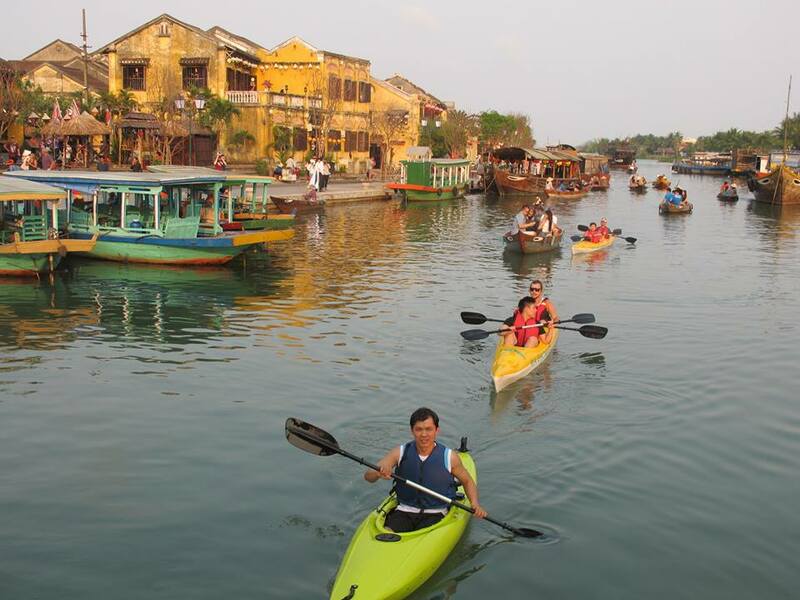 Return Details: Returns to original departure point or you can choose the drop off point in Hoi An.